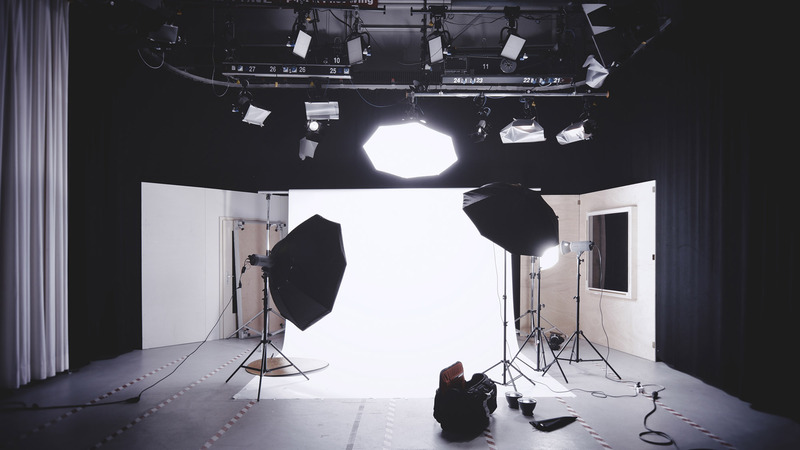 Have you thought about organizing a creative photo shoot? Or maybe you already had it and planned the next one? Looking through the magazines or seeing images online there is always something that catches the attention, and you imagine how you could do a similar photo shoot by yourself. Creative photo shoots are great for building your portfolio and will be the part of your personal brand to show the clients what you can do. Let’s create one right now. I’ll show the process how you can organize it on one of my previous shoots. And if you want to find other artists to collaborate with you on the creative photo shoot, then think about how it can benefit their portfolio too. You will send it to the magazine. If it’s your project and not magazine request you don’t know if it gets published or not, but you can tell your team that you will send it and if it will be published everyone will have a credit there. 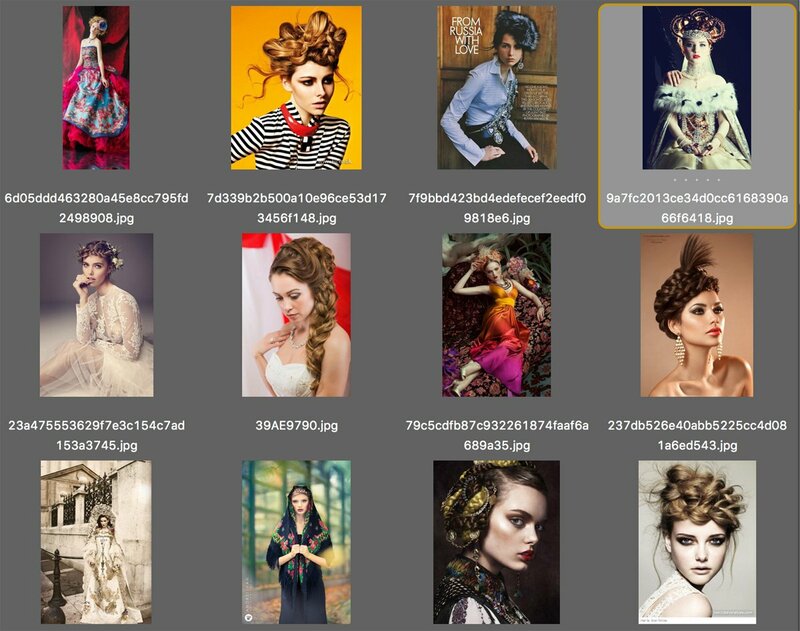 Check this article to learn how to get your photos published in the fashion magazine. It’s the project for the exhibition. You want to publish them as the book. You can have your big reason. The point is that all of them bring more credibility to people who participate in the project. 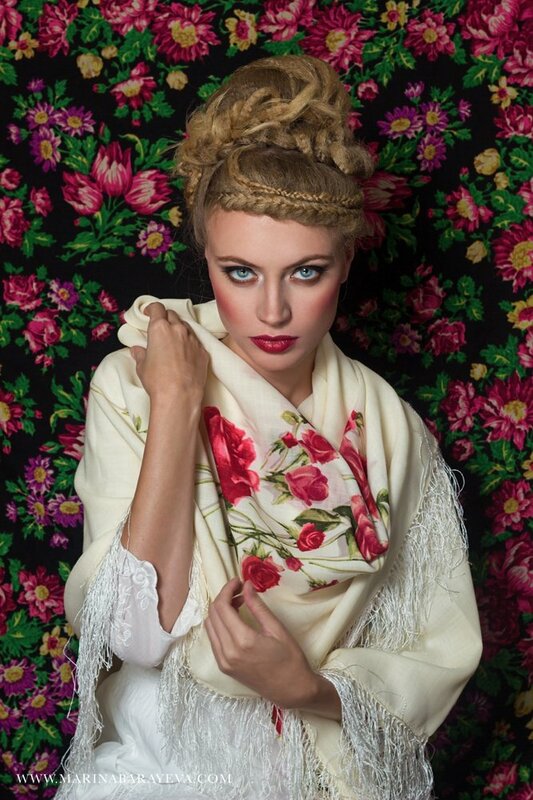 One of my ideas for a long time was to have a photo shoot in traditional Russian style. First, I’m Russian, and it’s my culture. Second, I like how Dolce and Gabbana and Kenzo represented similar style on their fashion images. The next step is to create a mood board. Look through your favorite magazines, movies, other Photographer’s portfolios, search on Pinterest, take the pictures if something inspired you outdoor. Think about the style, clothes, makeup, models, props, environment and save all the images either on your Pinterest account (it’s great for creating the mood boards and sharing with others) or directly in a Dropbox folder. Later you will need to show that to your team. Before you start reaching anyone prepare the best images from your portfolio to show people your style. If you are just starting out in photography, then you can tell people that you’re building your portfolio. Looking for Slovenian looking models for upcoming TFP photo shoot Russian Beauty. It is a half day photo shoot January 15th (you can mention the date and time if you already know). You will get 5 (10, 20, all, etc. photos) after the photo shoot. Preferable long blond hair. If you’re interested, please send me a message here (DM me, email me at… ). Depending on the country and city where you live you can look for the models on modelmayhem.com or post a request there similar to above with the details. The third option is to look for the model agencies in your city and talk to the booking managers in person or send them an email. Send them your portfolio, send them the mood board, tell about your project, mention if you have a makeup artist/hairstylist already and write what type of models you’re looking for. If you know nobody there you can ask if there are new models who also would like to update their portfolios with the new photos. Makeup artist and hairstylist can be the same person or two people. If there is nobody among your friends, then you can ask your hairstylist or go to the salons/stores with the brand cosmetics like MAC or Make Up For Ever. Hi. My name is Marina Barayeva. I’m a photographer in Beijing, and I’m looking for a makeup artist to collaborate for the upcoming photo shoot. Here are some examples of my previous work and here is the style we will create (show them the pictures from your mood board). I plan to send these images to the magazine to see if they can publish the series or if not we will have new beautiful photos in our portfolios. You will be surprised that people would be interested in helping you. Creatives like to create. Come on, you are one of these people too so you would want to be a part of the exciting creative photo shoot, don’t you? With the stylist it’s the same – ask friends, post on social media or do it yourself. Sometimes you may need only the clothes, and you or your team members can style something together. In our case, we were looking for the dresses, and Russian style wraps. Models brought the dresses, and different friends gave us the wraps. However, it doesn’t always need a lot of space. Look at what you have. For these types of beauty or half body portraits, the empty 3×3 meters space is more than enough. For the photo shoot, I used one octobox 120cm with the flashlight which was in front of the model lighting from the top and the reflector on the table. The backgrounds are the piece of black fabric and the wraps that we also used for styling. From the photo shoot, I picked 12 photos, and 7 of them were published in Avari magazine. Often when you send photos to the publications, you send them in the series. So when you plan a photo shoot think about how you can get different style photos. It can be a variety of clothes, different makeup, model, location. It also good for your portfolio when you have the diversity of images you can show as the series, or as the representation of your style. If you have any questions about how to create a creative photo shoot, please leave a comment here and I will try to clear things up.